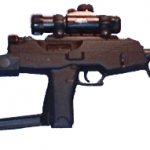 In March it was reported Armati Imports would be bringing in the B&T (formerly Brügger & Thomet) firearms and parts. While they’ve done some of the former the importing of B&T will now be handled by B&T USA, a brand new sister company to B&T AG of Switzerland. B&T USA will be manufacturing the Swiss B&T suppressors domestically, to the same specs, with the identical materials, and from the original blue prints. 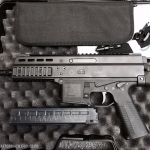 The B&T suppressors are used by Glock in Austria, FN Herstal in Belgium, and H&K in Germany, they are the de facto official suppressors for the European law enforcement market. The paperwork is already filed with the ATF for the import of the B&T APC series. 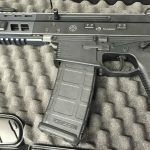 The first imports are expected to be APC series in pistol form, with the ability to convert it to an SBR, with an NFA stamp. Currently the APC is offered in .300BLK, 5.56mm, .45 Auto, and 9x19mm. 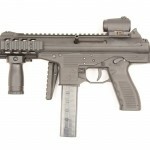 It is expected the TP9 will follow, it is not confirmed if this will newer version with the updated more-ergonomic safety selector (similar to the B&T MP9N sub machine gun).